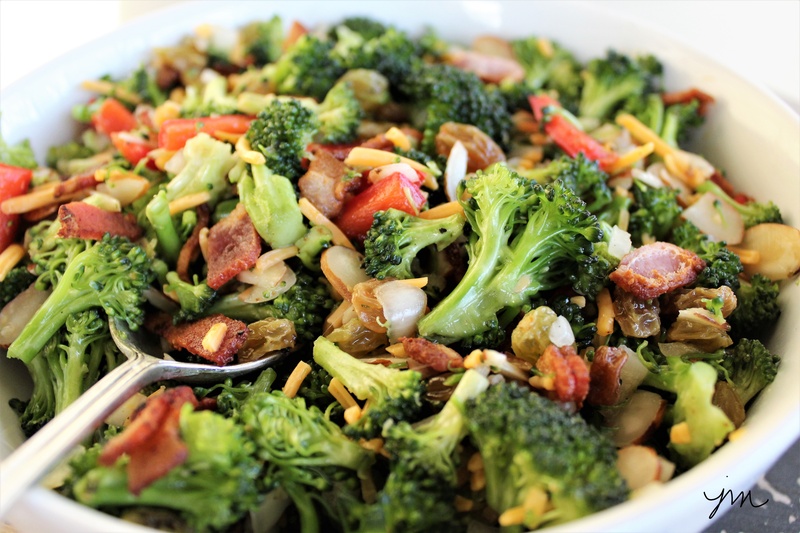 Broccoli Slaw with Vinaigrette Dressing. YUM! 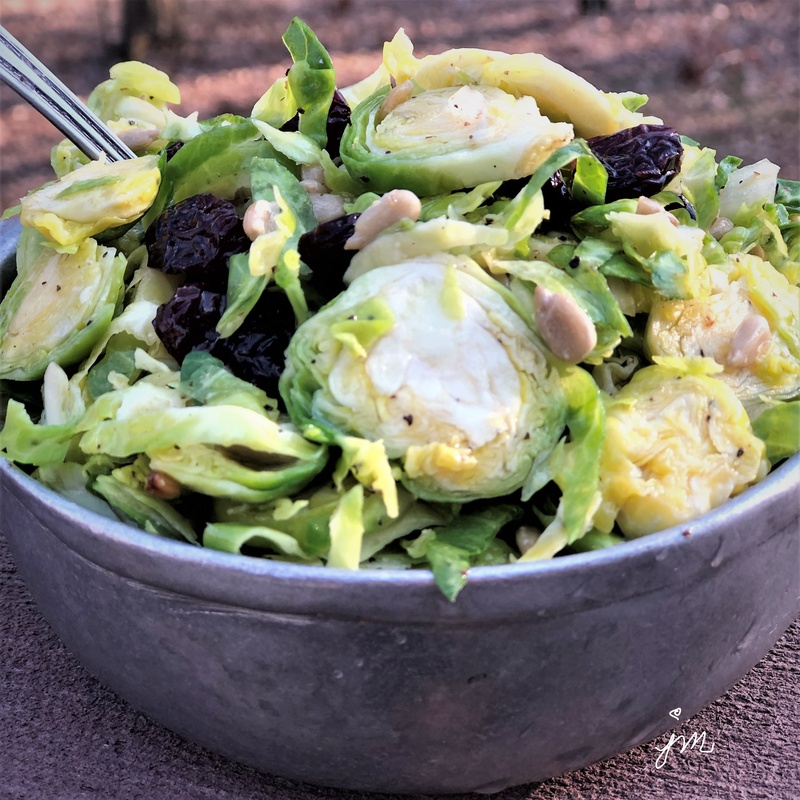 Another wonderful way to enjoy one of my favorite vegetables! Hubby said we are going to turn into broccoli this week! 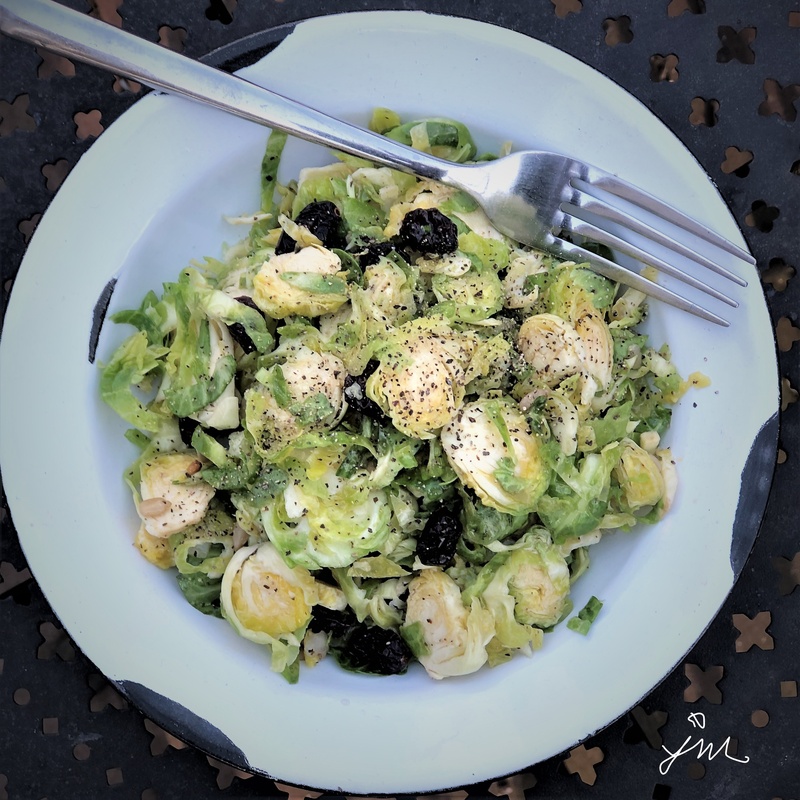 We’ve had broccoli sprouts, steamed broccoli and broccoli slaw over the past few days. I think I could eat it every day. 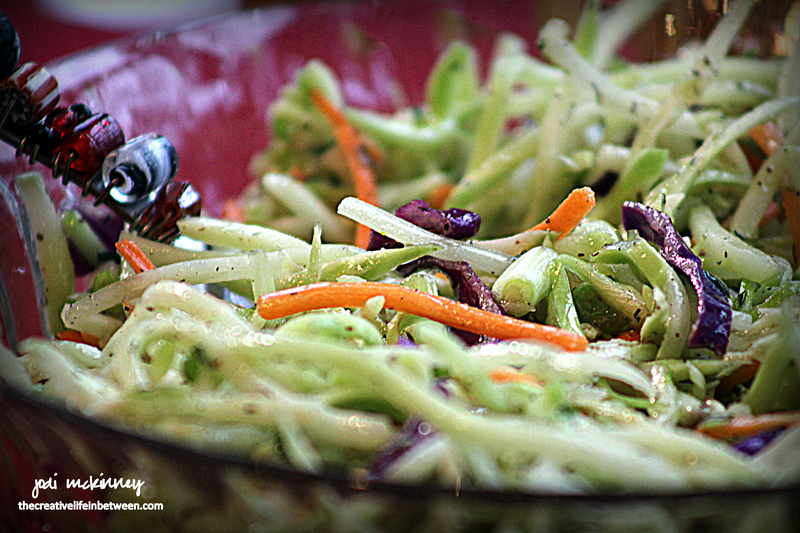 This recipe is so easy – especially if you buy the pre-packaged broccoli slaw mix Green Giant makes. 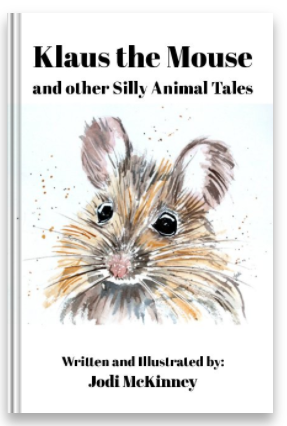 Have you tried it yet? 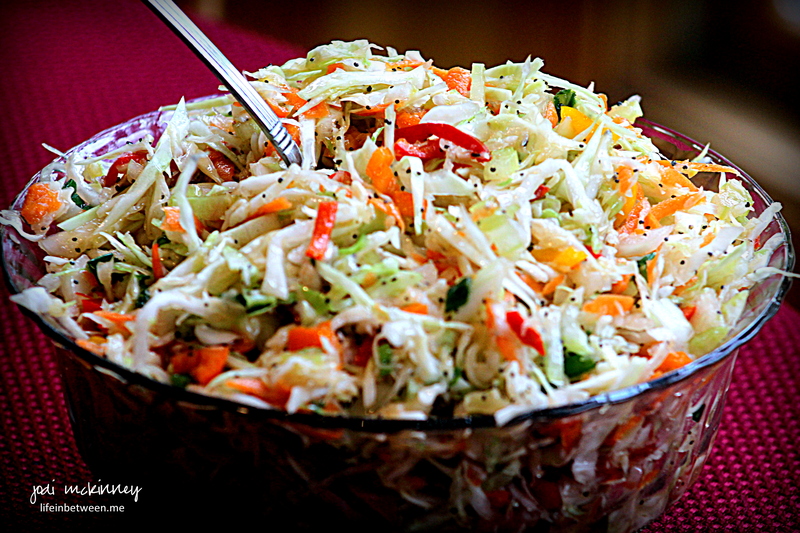 What do you like to mix into your slaw? 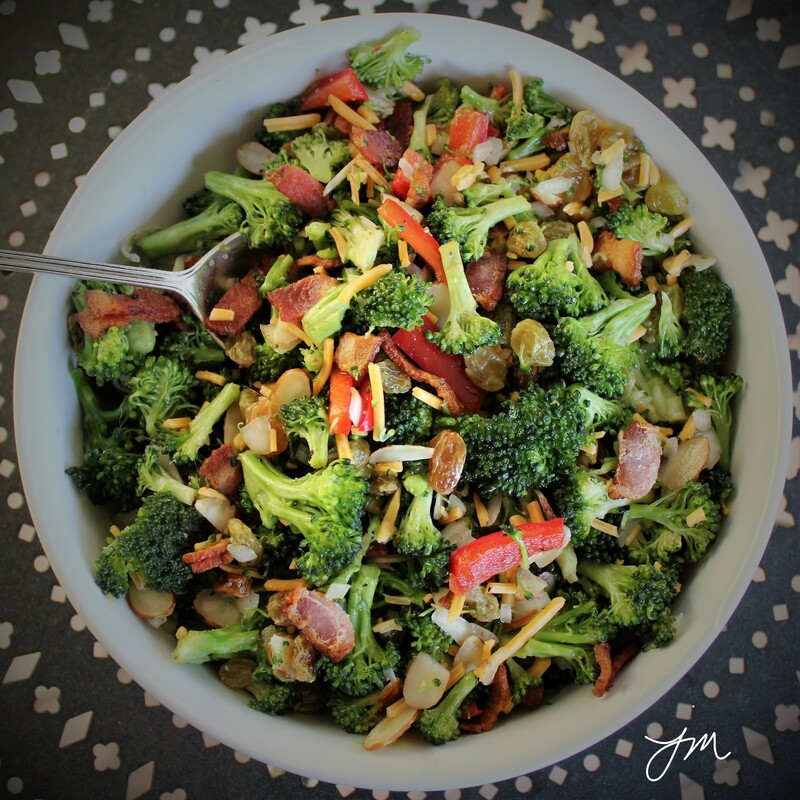 Empty broccoli slaw mix into large bowl. 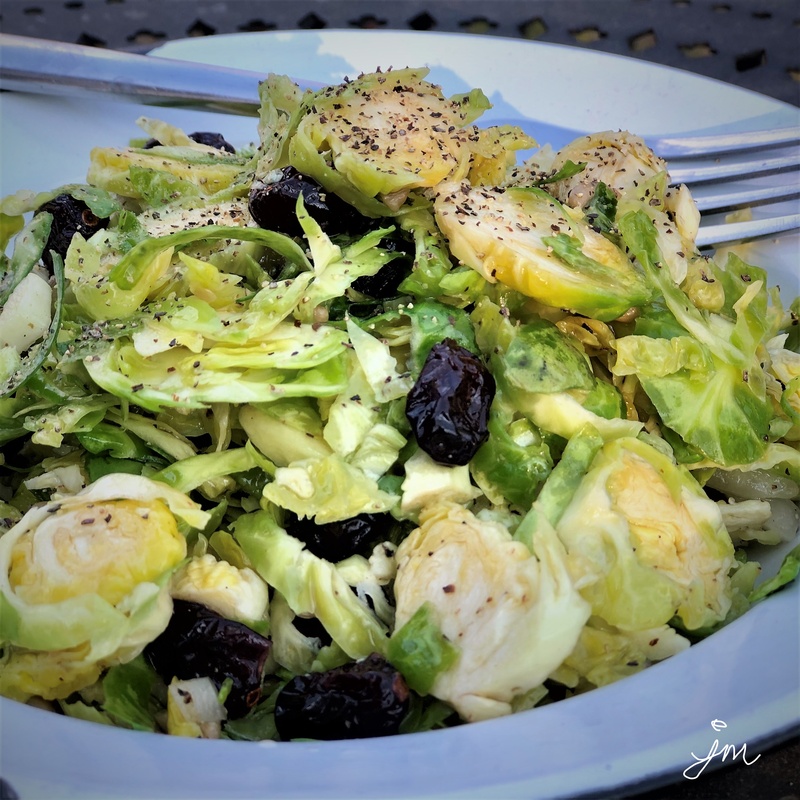 Drizzle dressing over top and mix thoroughly to combine. Add any optional add-ins you like. Refrigerate at least one hour before serving to allow flavors to meld. 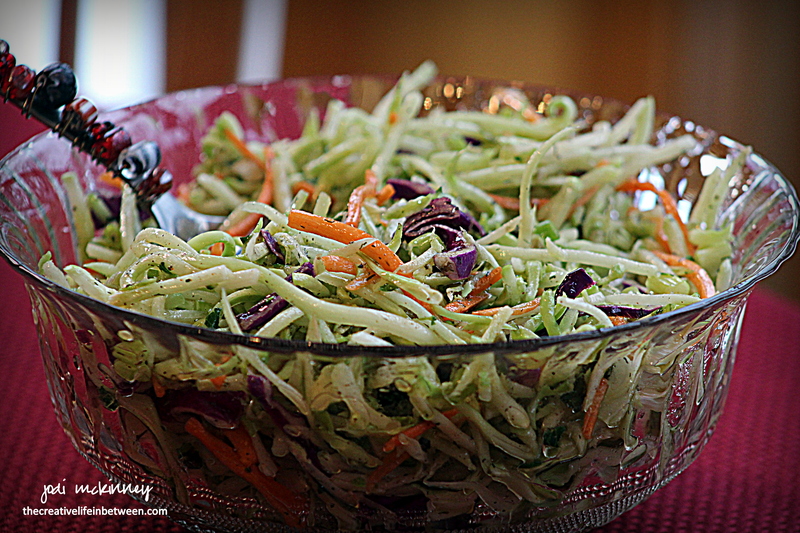 If you are looking for a fresh, bright, colorful, crunchy salad, I hope you will give my favorite version of cabbage slaw or cole slaw a try. I so prefer a bright, light vinaigrette on my cole slaw to the heavier mayonnaise-based version. How about you? 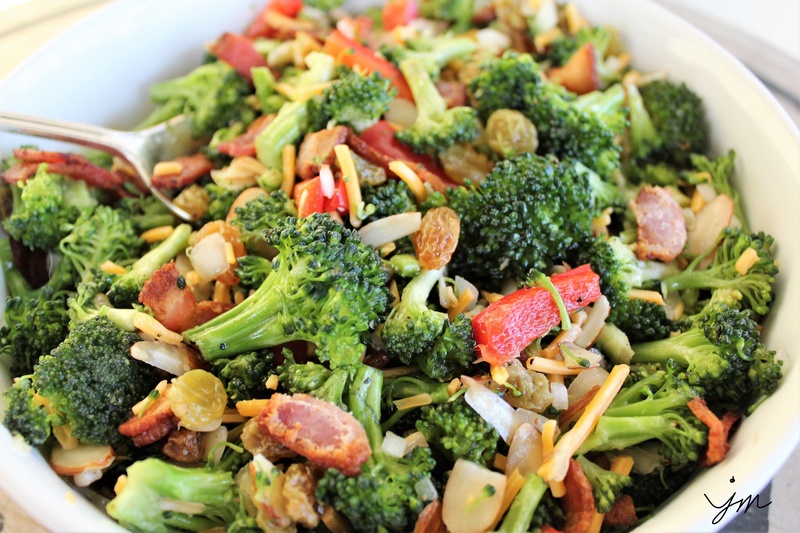 I made this last night as our salad with a kielbasa potato skillet hash and steamed broccoli, and we all had seconds! 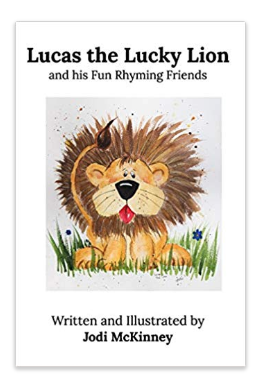 Here’s my recipe if you’d like to give it a try. Whisk vinegar, oil, sugar, dry mustard, poppy seeds, black pepper, salt, and hot pepper sauce in a bowl, stirring until sugar has dissolved. 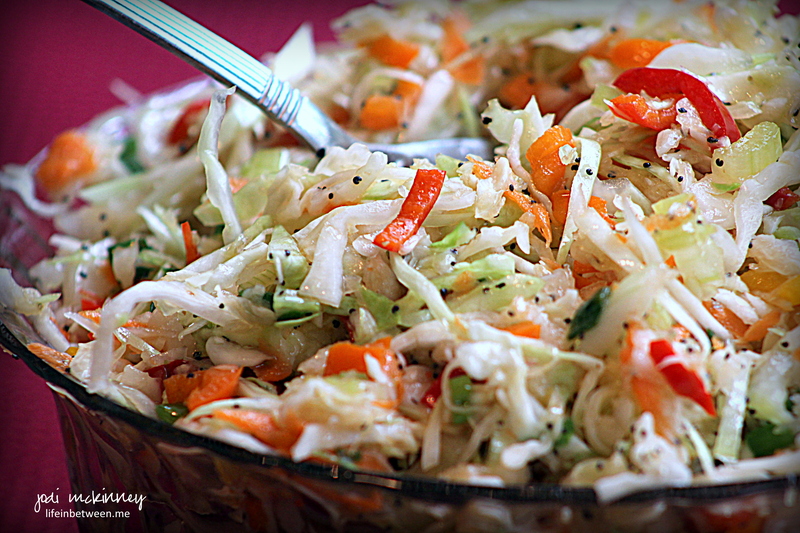 Mix cabbage and vegetables in a large salad bowl and pour dressing over slaw. Stir to coat. Refrigerate at least 2 hours before serving.